This wEEKend is filled with so much scary fun that it will surely make you go EEK! You can celebrate Day of the Dead / Dia de los Muertos which is a celebration originating in Latin America, particularly in Mexico and Central America, to commemorate the lives of the dearly departed and welcome the return of their spirits. You can smash pumpkins at many pumpkin smashing events throughout all of the boroughs, please check our event listings to locate them all. The Queens Zoo, the Bronx Zoo and the Museum of Natural History are getting the animals involved in the Halloween fun. And there are plenty of shows, parties and the Brooklyn Babyfest and Family Jam helping to prep new and expecting parents so they're not so scared about what lies ahead. Happy Halloween Weekend! Here are this wEEK-end's picks. The New York Hall of Science is rounding out its Halloween festivities with a special Dia de los Muertos (English: Day of the Dead) weekend. 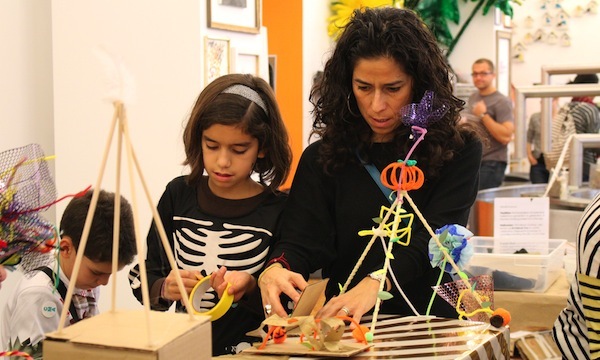 NYSCI will be hosting special “Dead or Alive” activities for kids in the Design Lab. Since the temperature is going to drop a little this Halloween, you might be looking for a few indoor, trick-or-treat activities. Thankfully, two of our favorite museums in the Manhattan are hosting Halloween adventures for the family. Happy Halloween! Everyone’s favorite costume and treat-filled holiday is here. This is a great time to enjoy a few seasonal theater shows, watch wild costumes parade through the streets and enjoy spooky music played by some of the city’s best musicians. This weekend also kicks off November, and runners around the city know what that means. The NYC marathon is back. This is one fun-filled week so check out our picks and have a boo-tacular Halloween. Woof, woof, woof - that means trick or treat in dog speak! This weekend if you have a dog or just like to look at how adorable they are dressed up for Halloween you're in luck. 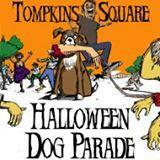 Taking place on Saturday is the annual Tompkins Square Halloween Dog Parade, Fort Greene Park's annual PUPkin costume contest and Socrates Sculpture Park's Halloween Harvest Festival with their dog costume contest. For human folk don't worry you can enjoy plenty of harvest festivals, spooky adventures, concerts, and even a pumpkin flotilla. There's something for everyone this weekend, whether you're covered in fur or not! Here are this weekend's picks. Although the weather is still mild, winter is just around the corner. Puppetworks' current show provides you an excellent experience that will get you in the mood for the change of the season. 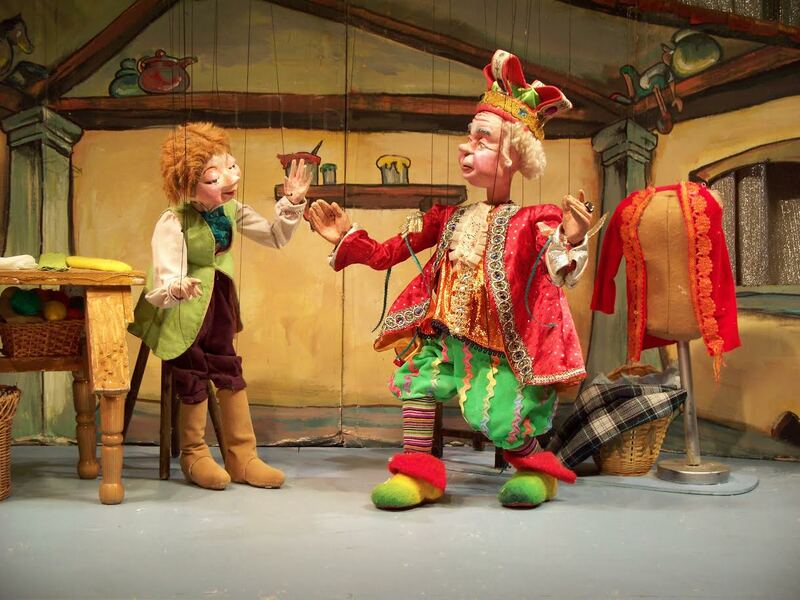 Presenting marionette versions of two stories by Hans Christian Andersen, “The Emperor’s New Clothes” and “The Snow Queen,” this Brooklyn-based puppet theater will have you ready for winter. Halloween festivities have already begun. Since this is the last weekend before everyone’s favorite scare’tacular holiday, it’s filled with parades, parties and costume contests. This is also a great time to pick up a last minute pumpkin. We’ve selected several Halloween parties and ghoulish activities to check out. So be sure to start planning out your costumed activities early. Our adoration of autumn and its emblem, the pumpkin, has definitely reached an all-time-high: a recent shopping trip led to the discovery of pumpkin Oreo cookies, pumpkin dog biscuits, and even pumpkin spice cream cheese! Unfortunately the annual Central Park Pumpkin Festival is not running this year, but we have a bunch of other events that will make up for it. Here's our roundup of fun fall pumpkin-related activities. This weekend is filled with pre-Halloween events, Harvest festivals and Pickles! The NYC Fire Museum is having a Halloween party and the New York Botanical Garden has their popular pumpkin carving event this weekend. See how the harvest was done in historic times at the Dyckman Farmhouse, King Manor Museum and Historic Richmond Town. The Museum of the Moving Image is having a Chuck Jones family day to celebrate their exhibition What’s Up, Doc? The Animation Art of Chuck Jones. And be sure to head to the Lower East Side on Sunday to enjoy a day of pickle fun, it's kind of a big dill! Here are this weekend's picks. Halloween has always been the unofficial prequel to the holiday season. For kids and adults, it’s a time to rewatch some of our favorite Halloween, Thanksgiving, Christmas and New Years themed movies and TV specials. It’s also a time to look out for the new kids movie that will survive the test of time. 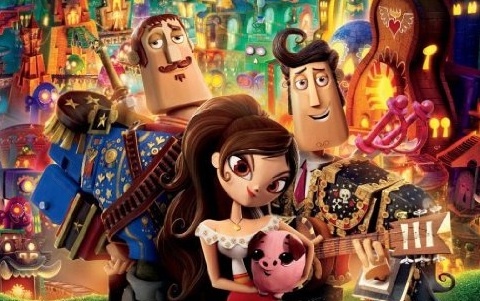 This Halloween season, Reel FX Creative Studios and Fox Animation are releasing “The Book of Life.” However, it’s not really a Halloween movie at all. The movie centers on the Mexican holiday Dia de Muertos (or Day of the Dead). The tale spans three fantastic worlds, where the hero, Manolo, must struggle between fulfilling the expectations of his family and his heart. New York City football fans have long had to travel out to New Jersey to see our professional teams play. These ventures prove to be both incredibly time consuming and costly. Tickets to see either the Giants or the Jets can well exceed a family’s budget and oftentimes the seats are too far away from the field. Needless to say, the thought of going to a pro-football game is out of the question for most city families. But New York football fans can rejoice! Starting this month, October, a brand new semi-pro football league brings football to New York City. 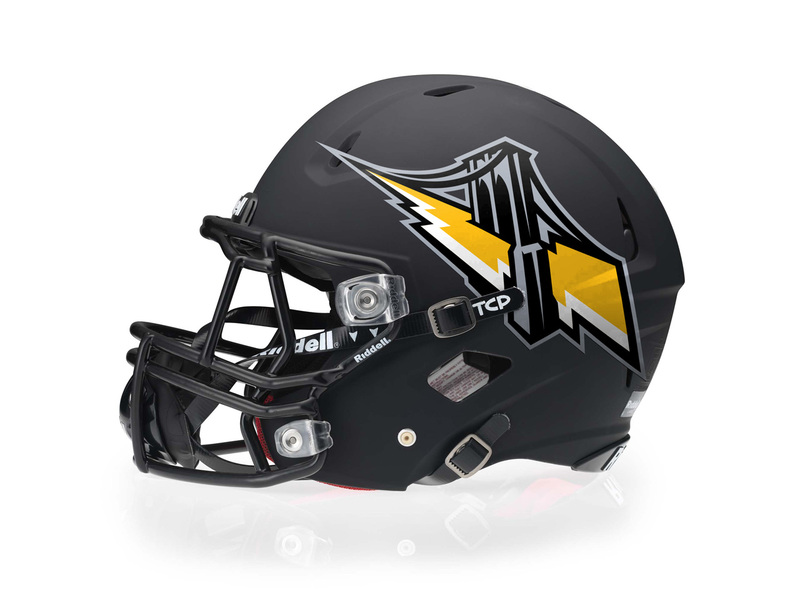 The Brooklyn Bolts kick off their inaugural season on October 15 at MCU Park in Coney Island. As the weather changes so do the activities. This week some of our favorite outdoor park activities come to a close. But have no fear, there are many more activities ahead. This week is filled with kids comedy, a lumberjack circus, puppy-costume contests, pickled delights, Tall Stories, theater and even ghoulish scavenger hunts. So get ready for a fun week as we inch closer towards Halloween. Here are our picks for the week ahead. Columbus discovered America and this weekend is your chance to be an explorer too, an explorer of fun! Discover fun ways to party with your family all weekend long. Lakeside in Prospect Park is having a Backyard Jamboree. The LEGO store in the Flatiron District is opening and having a party all weekend long. The 22nd Little Red Lighthouse Festival is taking place on Saturday. There are also plenty of harvest festivals to ensure pumpkin fun for everyone. And what's a holiday without a parade and some fan fare? Head over to the Columbus Day Parade on Monday. Stake your claim on fun this weekend. Here are this weekend's picks. There are tons of awesome things for kids to do around New York City in the fall, but with a population of over eight million people there isn’t really much room for spacious farms and pumpkin patches. However, autumn and Halloween-lovers need not fret; there are plenty of great places just outside the city where you and your family can hitch a hayride to the perfect pumpkin all season long. During the summer months, New Yorkers are constantly looking for trips out of the city to get some fresh air and relaxation. Fall offers some unique opportunities for family day trips and getaways. Apple picking provides a fun activity for families to both get out into the country and to encourage an appreciation for locally grown foods. Although the city does not have a major orchard, there are plenty of options in the surrounding areas that are less than a two-hour drive. Now that fall is officially in full swing, Halloween is on everyone’s mind. Parents are already purchasing costumes for the kids, breaking out the skeleton decorations, and planning daytrips to the pumpkin patch. There’s always a ton of cool stuff going on throughout October in New York City for the whole family to enjoy, so check out our roundup of family-friendly Halloween events this month. Puppets, white lights, design and city tours are the order of the week in NYC. This week, it’s time to put on your sweaters and fall jackets and explore NYC’s historical landscape. We’ll be celebrating New York’s last Lighthouse, while dropping in on a few maker activities at the Cooper Hewitt Design Center near Central Park. 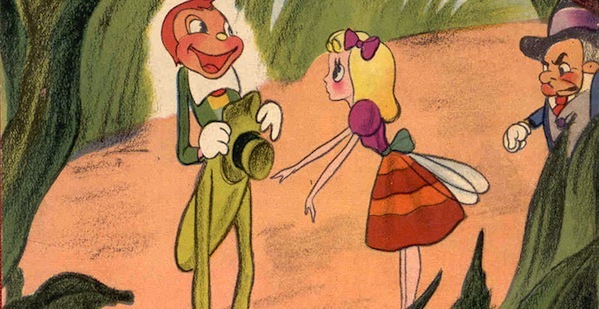 Also the Frog and Peach Theatre Company is kicking off a month of Tinkerbell theatre. What’s Tinkerbell theatre you ask? Check out what’s hot on our week-ahead picks to find out. Pumpkin, Honey, Boo, no I'm not whispering sweet nothings to my sweetheart I'm describing what's happening this weekend. McCarren Park in Brooklyn is having a Pumpkin Day and Decker Farm in Staten Island is having a pumpkin picking event too. Boo at the Zoo is back at the Bronx Zoo and the annual Honey Weekend returns to Wave Hill in the Bronx. Sing sweet things along with Suzi Shelton in Brooklyn on Sunday and learn how to say “C’mere, me beauty,” in Pirate Talk at Pirate School at the Waterfront Museum. Here are this weekend's picks. Lower Manhattan’s Film Forum will be showcasing four great, family friendly films during the month of October as part of its Jr. matinee series. It’s a great way to spend Sunday mornings with the kids, while taking a nostalgic journey through cinema history. The Swedish Cottage Marionette Theatre of Central Park is currently remounting one of their past hits for the fall season. 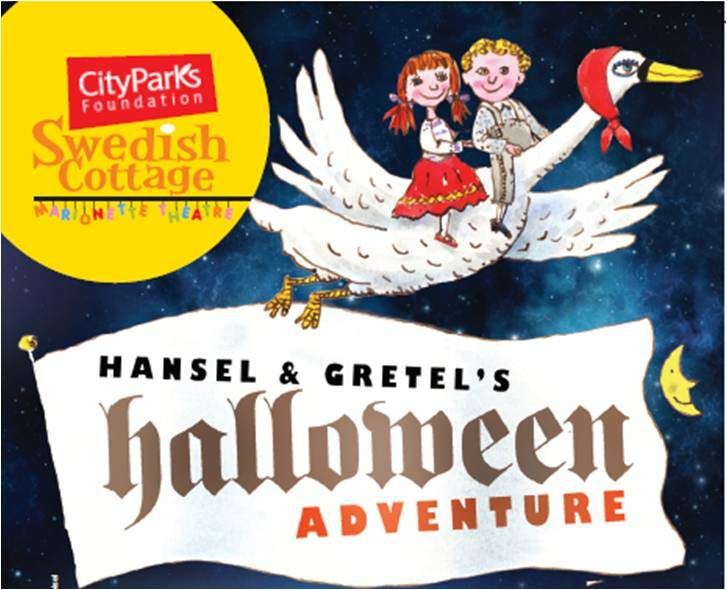 “Hansel and Gretel’s Halloween Adventure” is a fun-filled romp, with music and dancing puppets that is a Halloween treat for the whole family.